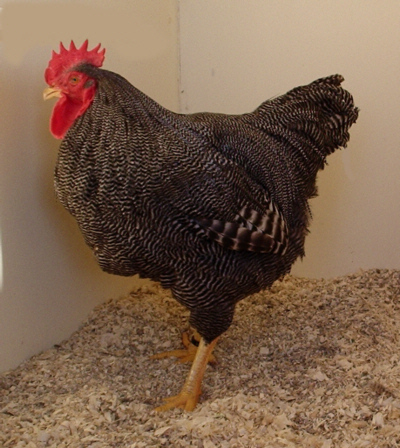 From their origins in Southwest Asia chickens have spread to all corners of the world due in a great part to their usefulness to man. The chicken is mentioned in ancient Chinese documents which indicate that they were introduced into China in around 1,400BC. Birds can peck and scratch when handled in a tentative fashion so be firm and positive in your actions. 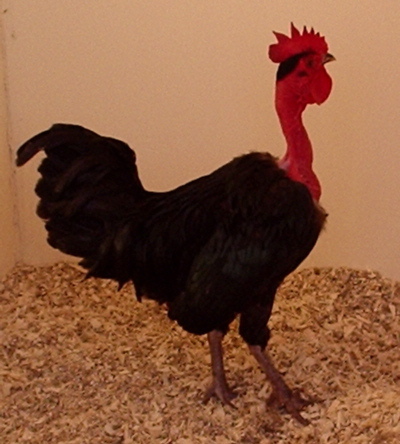 Cockerels, especially, can have large spurs or claws which can inflict serious injuries. Birds can be calmed down by having their head or eyes covered by a soft cloth but the most important point at the time of capture is to keep the wings restrained. With both hands hold the wings down against the body of the bird. Chickens can be caught by the legs if required and held upside down for a short period in order to gain control - but this is only a short term expediency before righting them into a more comfortable handling position. Please Note! All images on this site are the copyright of Poultrymad©.